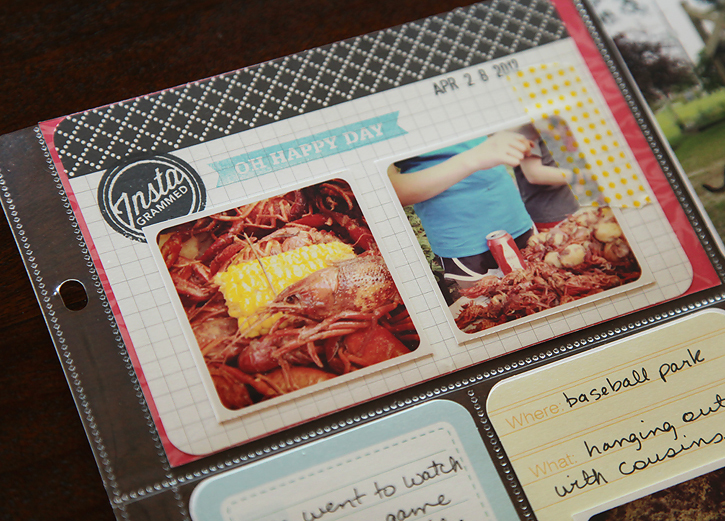 Week 17 was a fabulous and fun week because it included lots of time with cousins and a crawfish boil! Hard to top that! Once again, I love how the colors of clementine came together to look so beautiful with my photos. I took a lot of pics of my layout this week so let's get right to it. 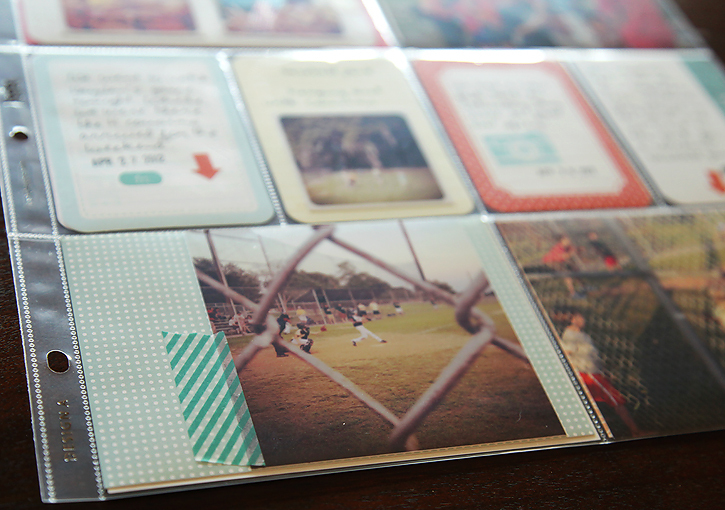 and another 4x6 pocket (the label that can be found here). 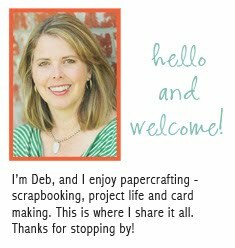 Check out more Project Life inspiration every Tuesday at The Mom Creative. 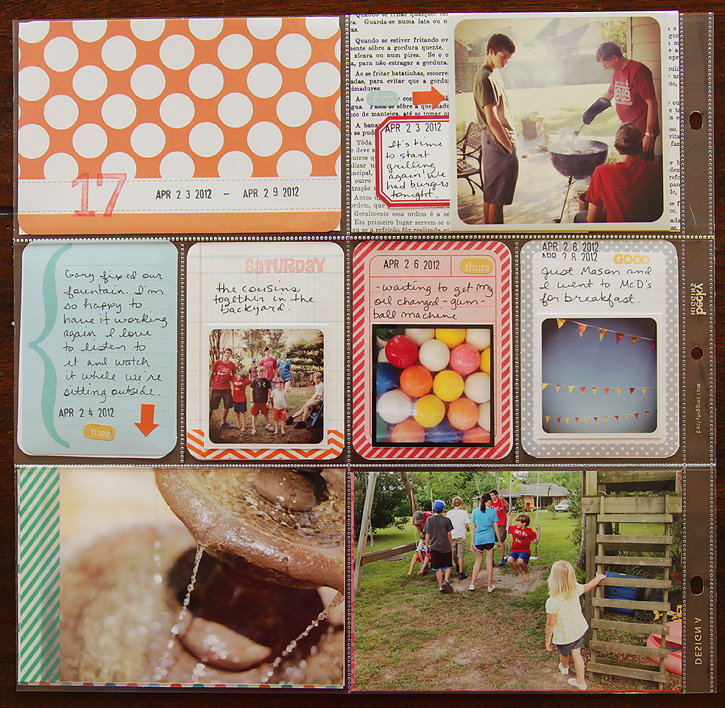 This is such an awesome project of yours to be treasured forever! 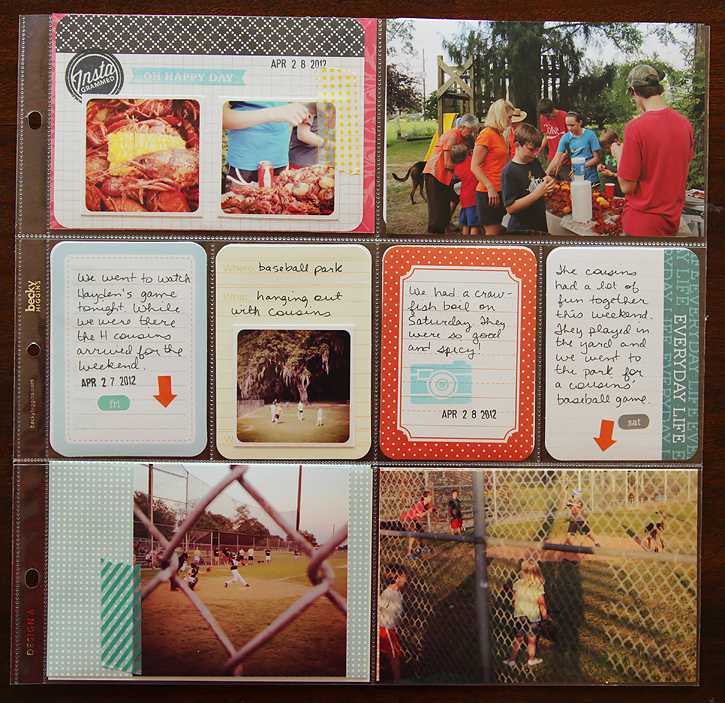 Love you take on Project Life and that Instagrammed stamp is awesome. What a great project!! I'm definitely inspired! I love how creative you are with the little additions! I am nervous to do anything I may regret! Love the washi tape!! I need to find me some of that fun stuff! I am so behind...and you are so great and keeping up-to-date!!! You make it look sooo great that I always want to try this. But I know I will get too busy and fall behind! I am finally up to editing August of last years photos! oops! 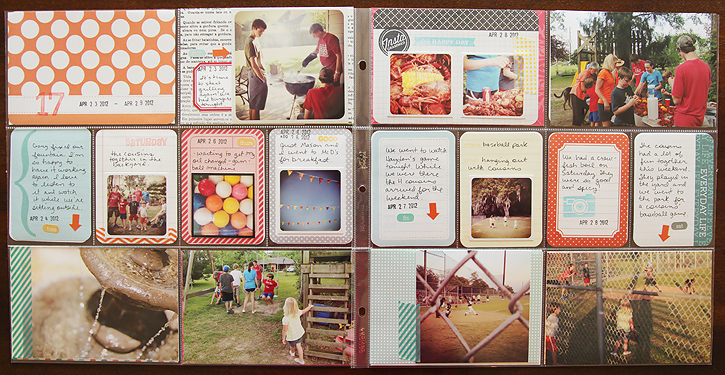 I love the project life series... you make it look amazing! I have always wanted to try doing it, but I am so bad at printing off photos. Do you print photos at home or order prints? The first two years I did project life I ordered all my prints. I ordered online at either smugmug or shutterfly every two or three weeks. 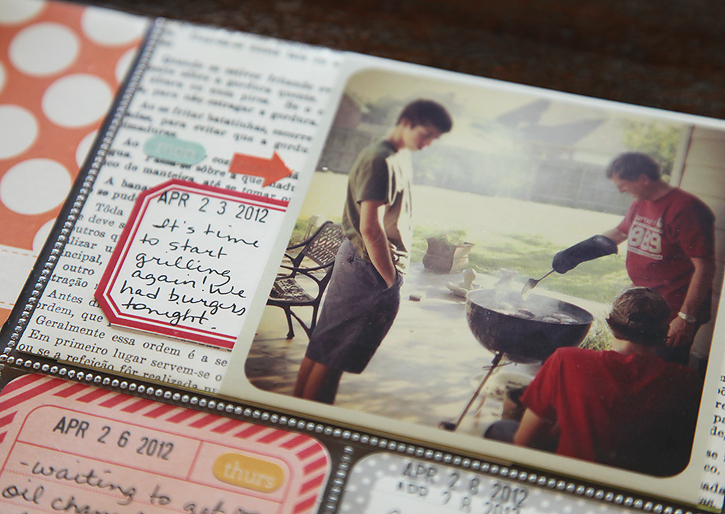 I would sometimes write out a few journaling cards before I even had the pictures just to stay current. Then last November I purchased a photo printer and started printing all my photos at home. I love being able to print and then immediately start working on my layouts. It has definitely made it easier to keep up and also to print odd sized photos when I want. If you have any other questions about how I print or anything just let me know! I have an epson printer so I use epson ultra premium glossy photo paper. I've heard it's best to use the same brand paper as your printer. I just started printing at home last November. The ink that came in the printer didn't last all that long. I don't remember exactly when, but I replaced it with the higher capacity ink and I haven't had to replace it again yet. I think it's starting to get low. I would guess the high capacity lasts about six or seven months when printing photos for project life and a few traditional layouts here and there. I don't use my printer for much else. 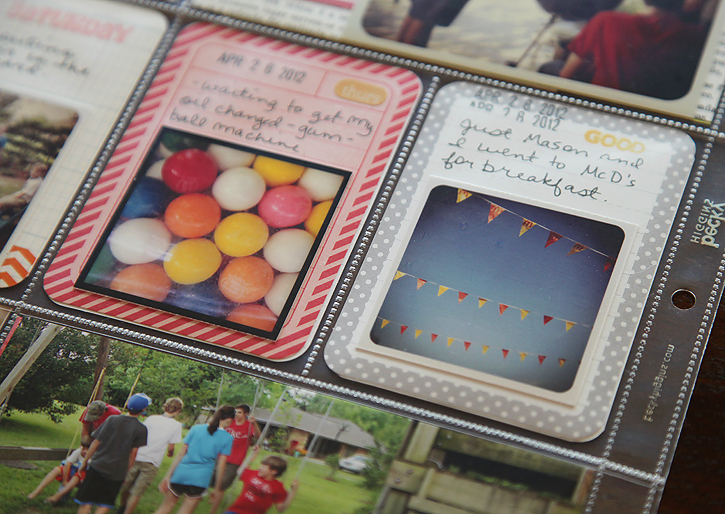 I would say it's definitely not cheaper to print at home, but the quality appears to be just as good and it's much more convenient for project life and scrapbooking. It really made a huge difference in being able to stay current more easily.